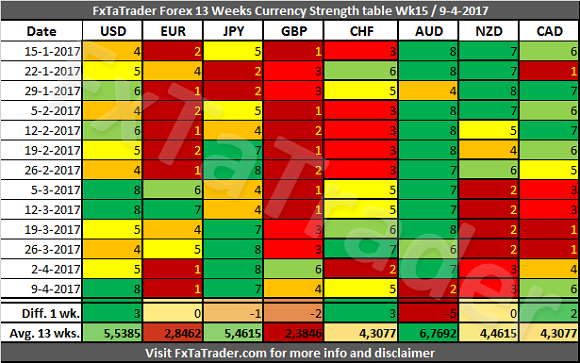 In the Currency Strength table, the USD was the strongest currency while the EUR was the weakest. There were some significant changes last week with the USD and the CHF gaining 3 points, The AUD lost 5 points. The other currencies remained around the same level with a maximum difference of just 2 points. The JPY gained a lot of strength lately and the Average 13 wks. 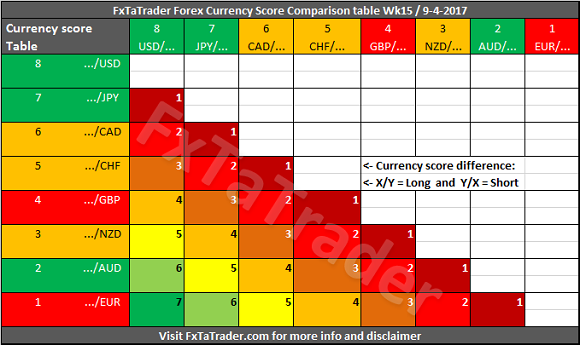 Score is close to the USD while the JPY had 8 times a higher score during the last 13 weeks. For that reason the JPY is now also a strong currency. This week we take a look at the strong currencies. The JPY is now classified as a strong currency and as can be seen it looks similar to the USD lately. 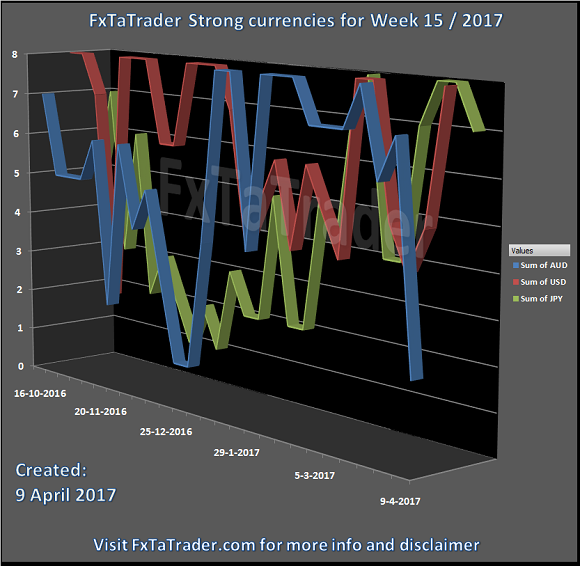 The AUD made a dive last week but it still remains a very strong currency.Below you can see the Weekly Currency Score Chart with the 6 months' data as a reference.